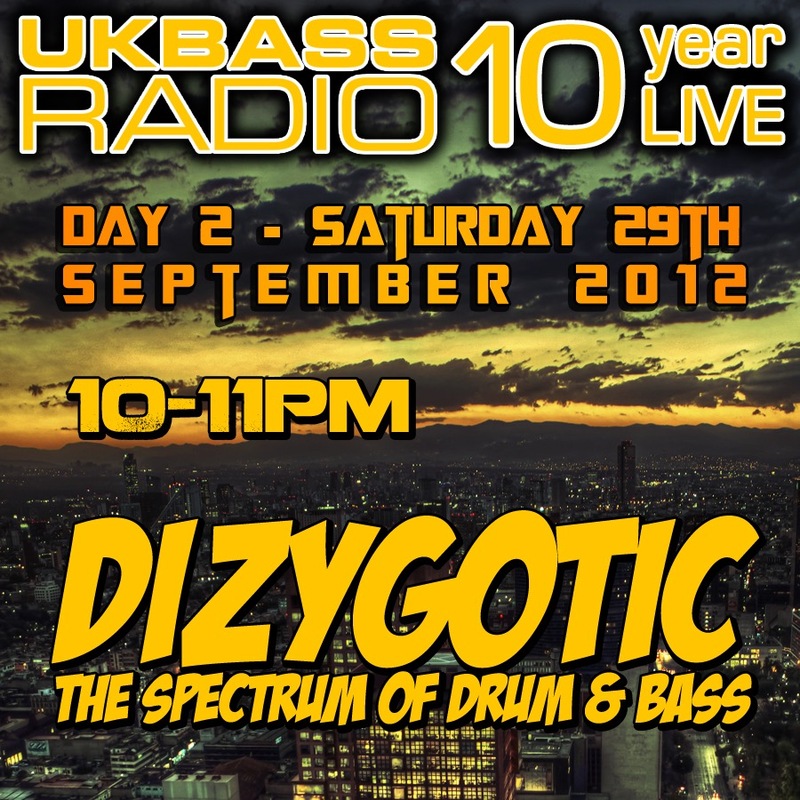 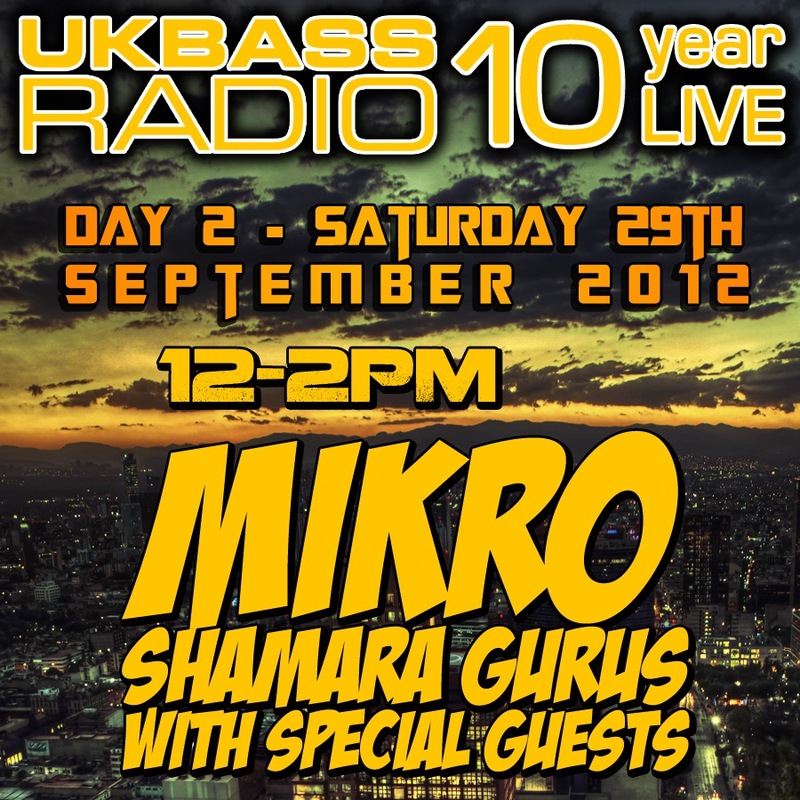 Coming up next weekend is a very special one for the UK Bass Radio family. 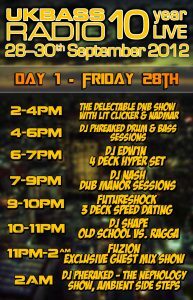 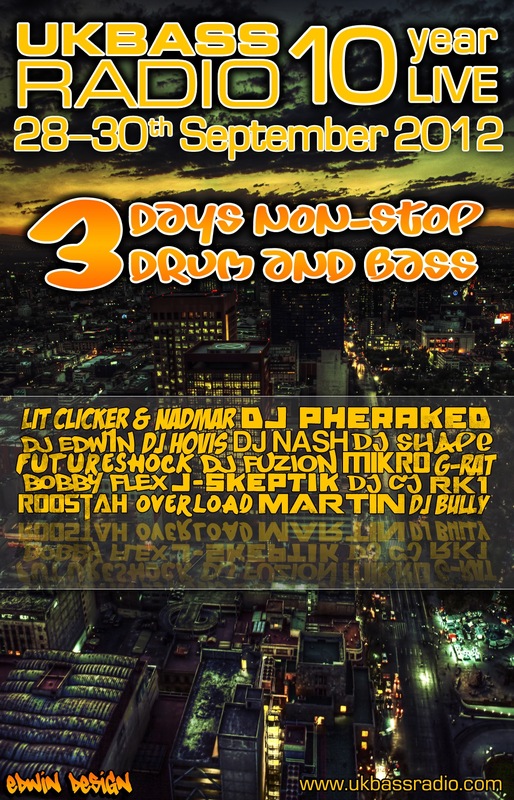 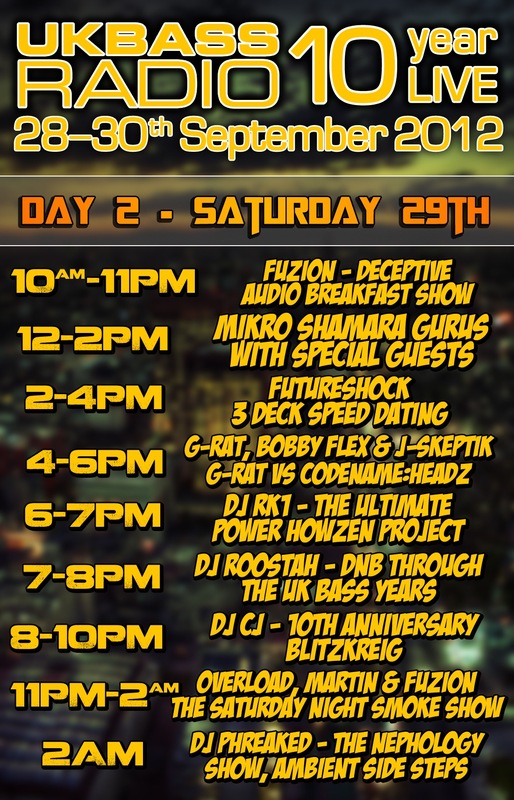 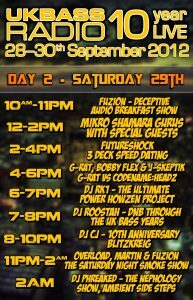 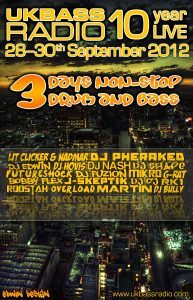 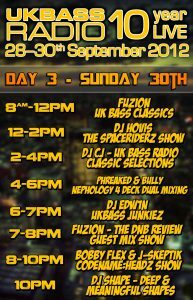 For the weekend starting 28th September 2012 we have laid a dense schedule, exclusive guest mixes & back to back music to celebrate a decade of broadcasting. 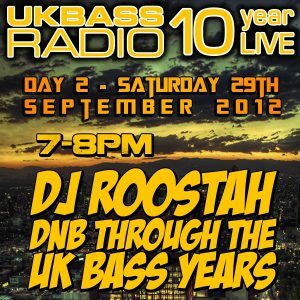 Step into the chatroom at ukbassradio.com & enjoy unique from every show, from the old to the new as well as a few side steps. 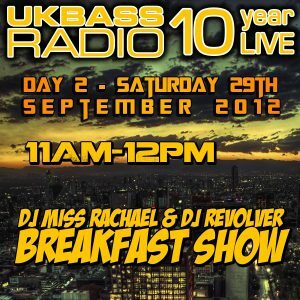 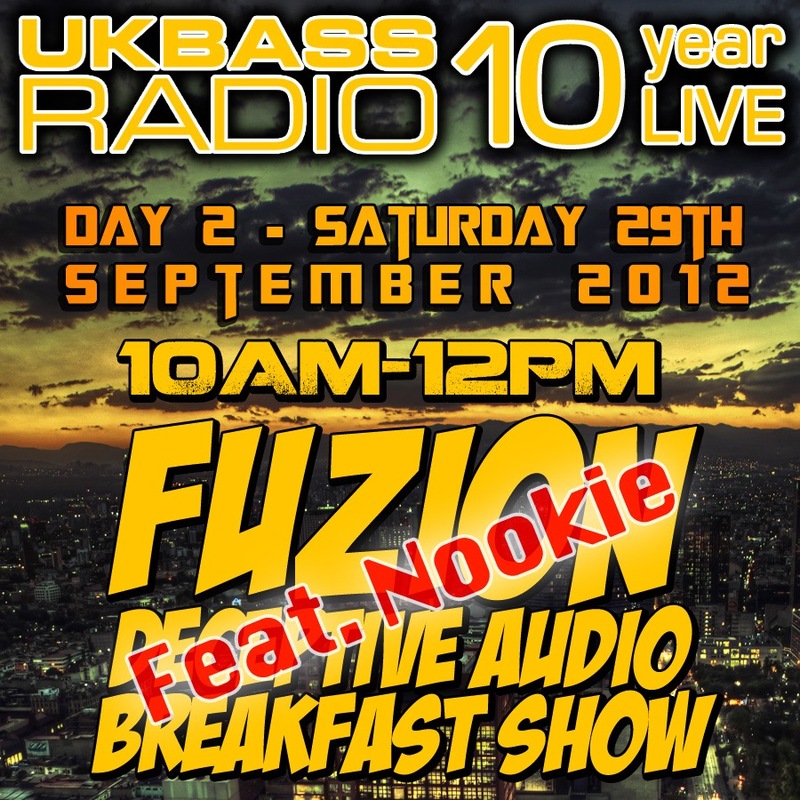 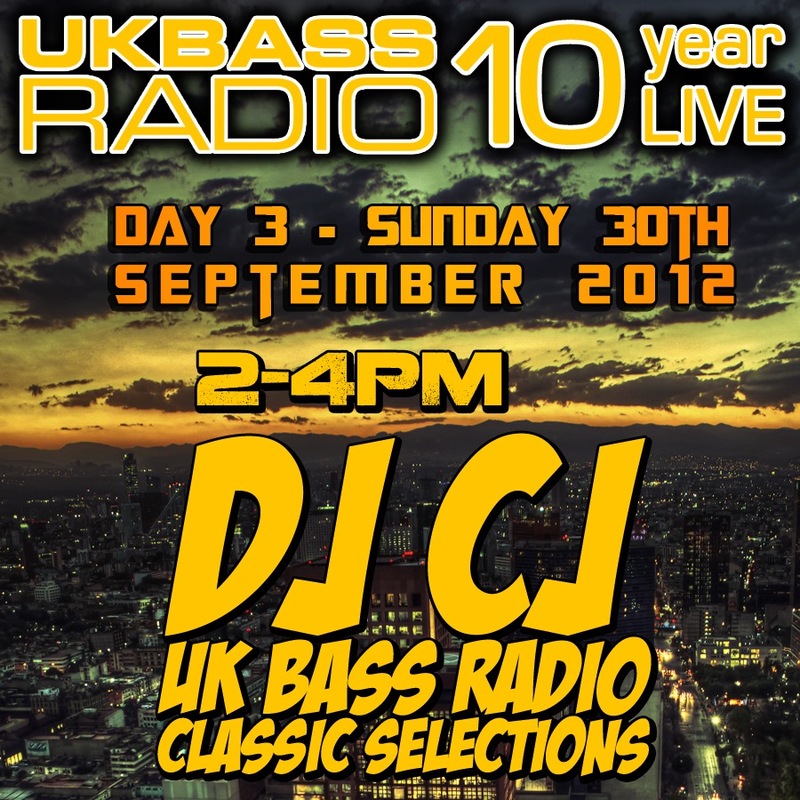 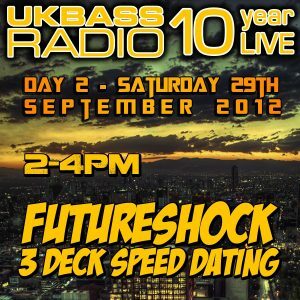 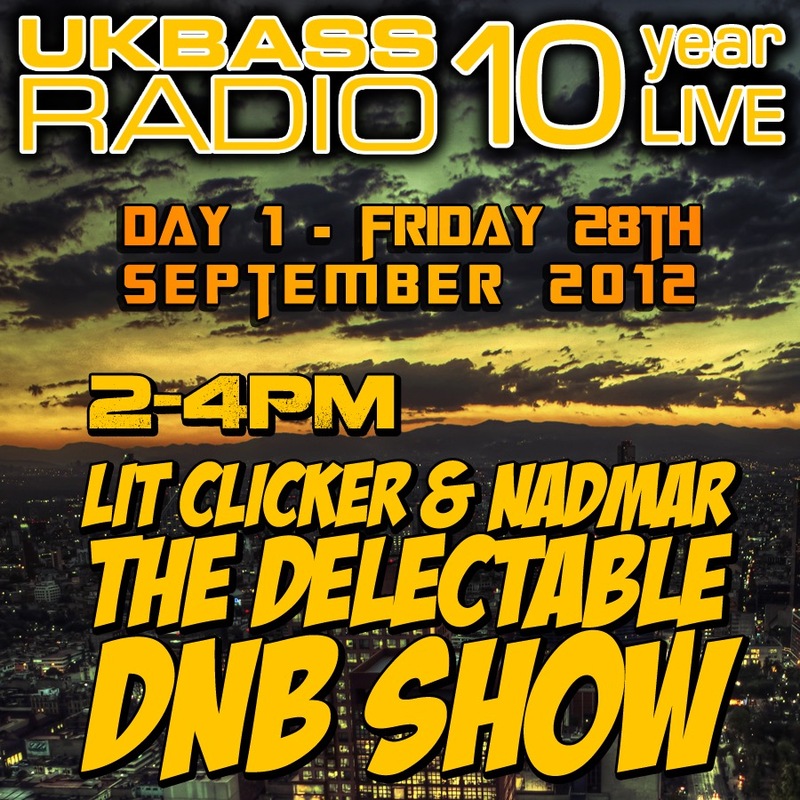 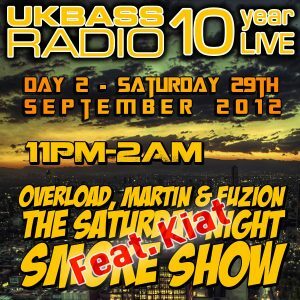 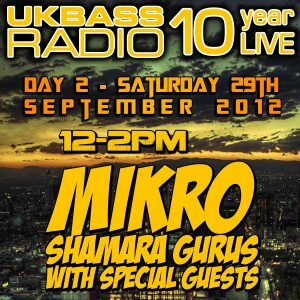 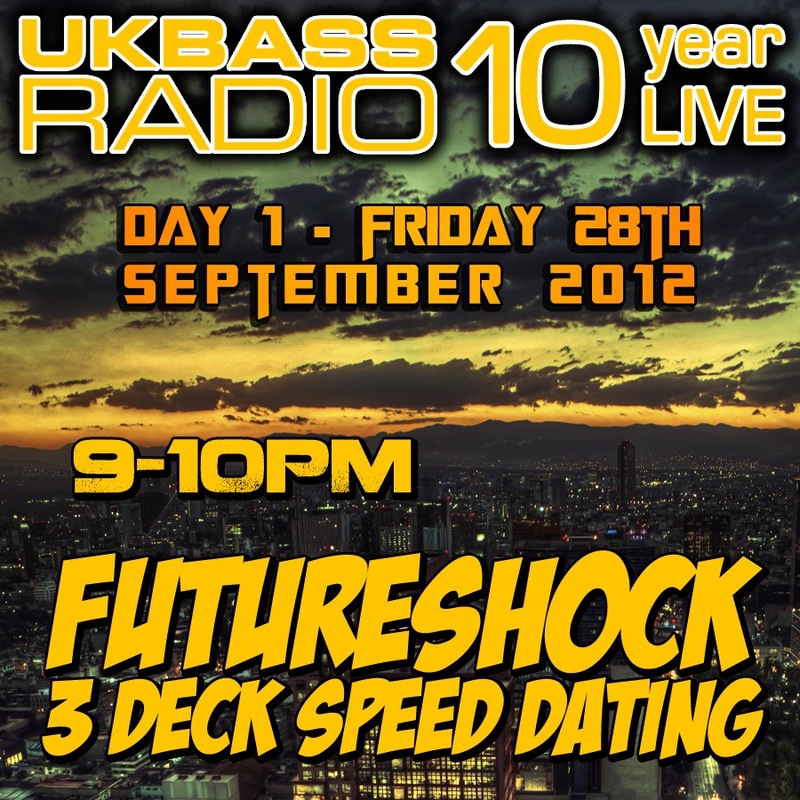 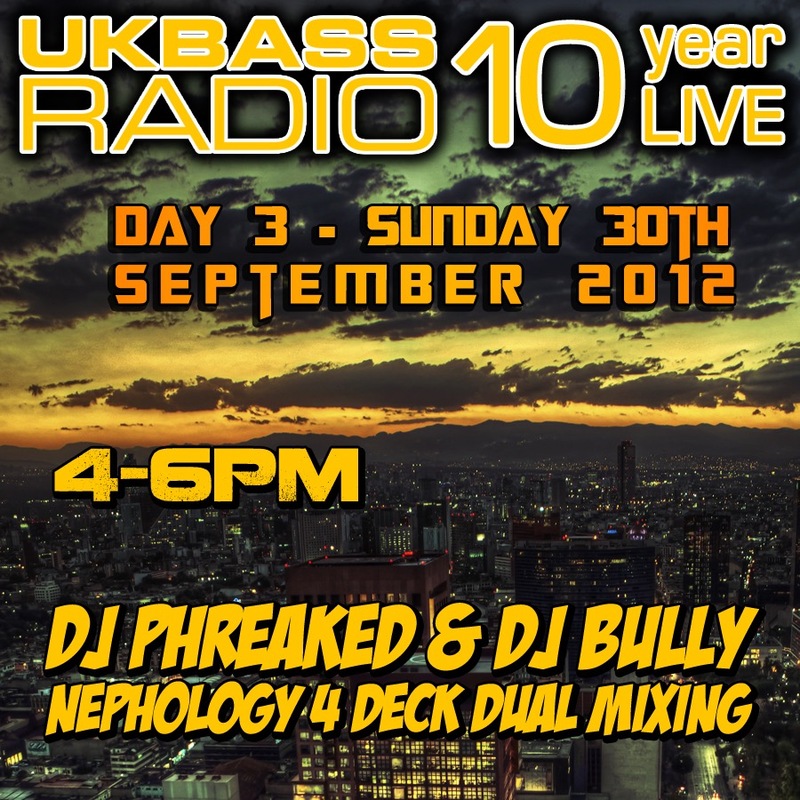 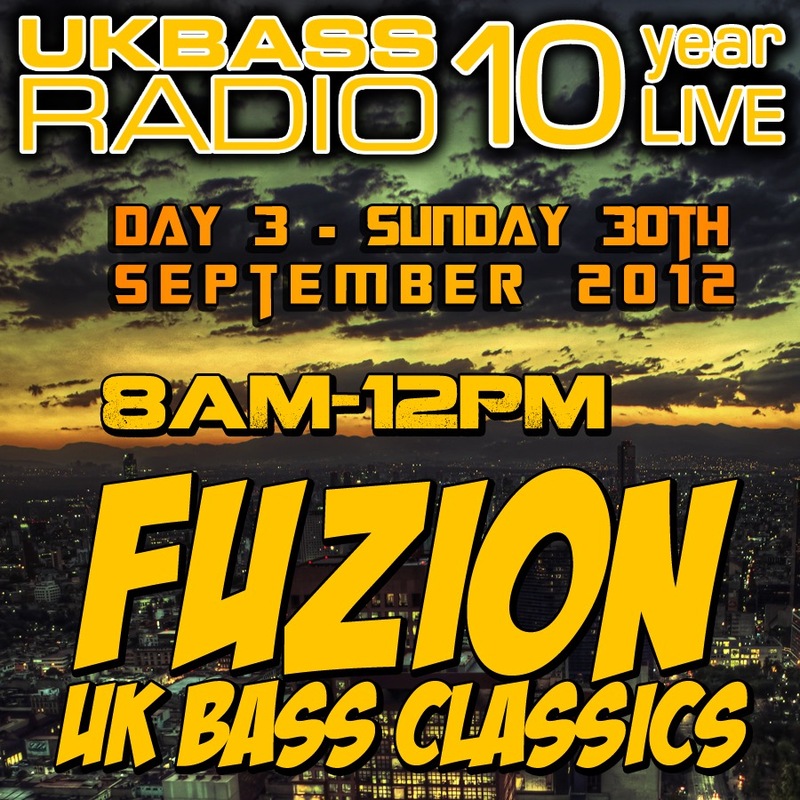 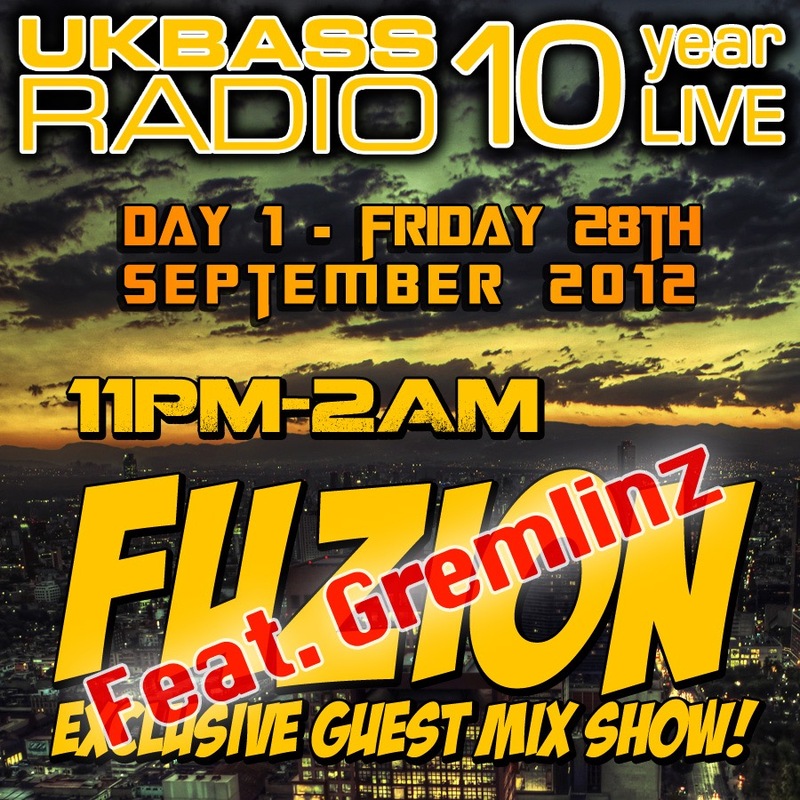 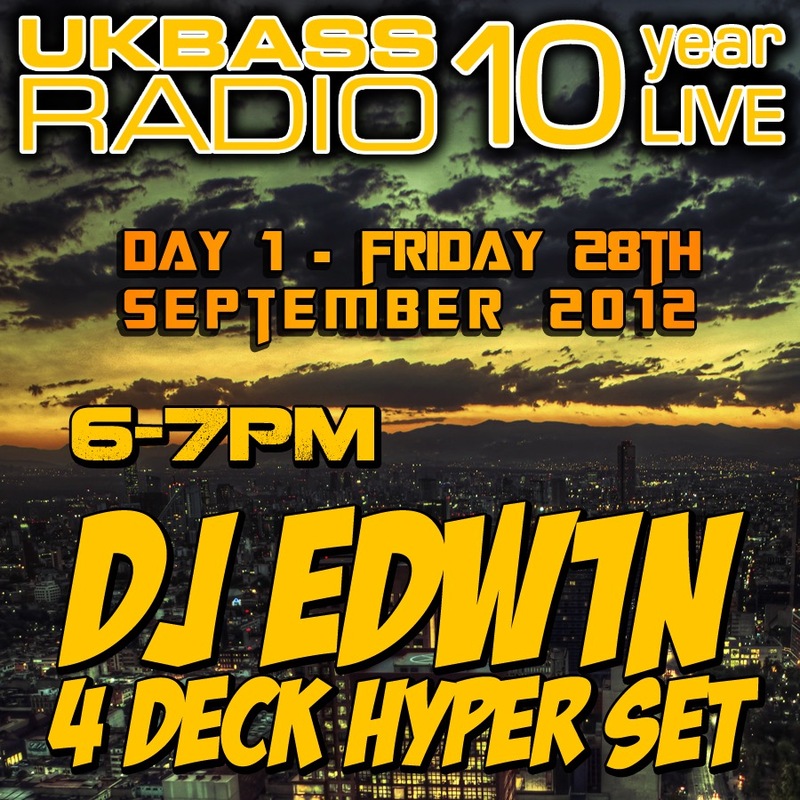 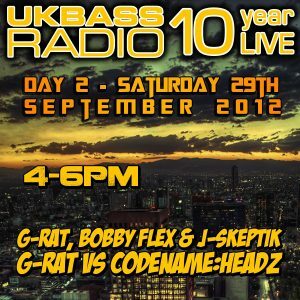 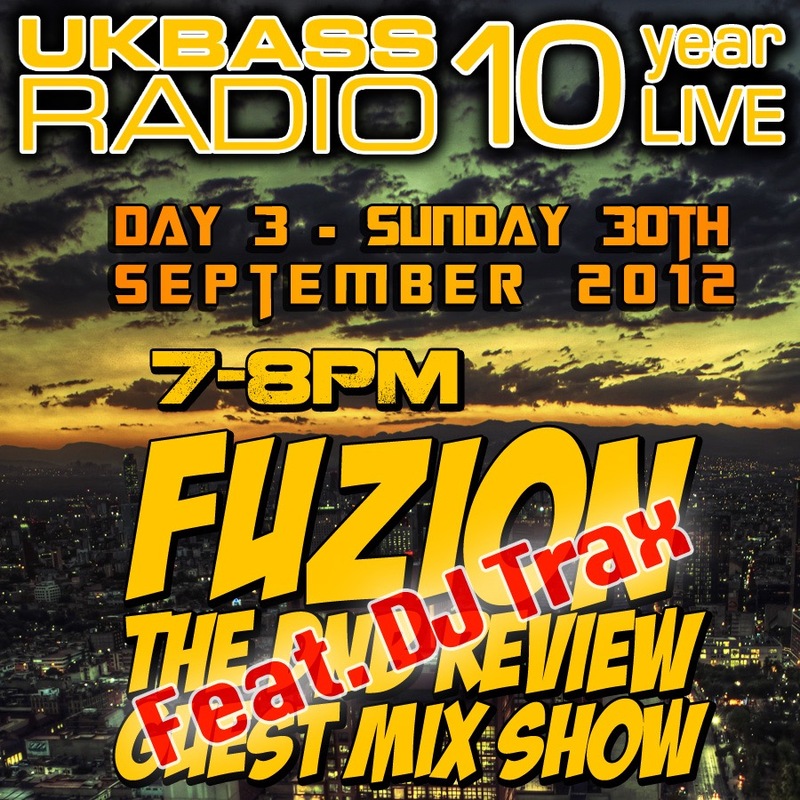 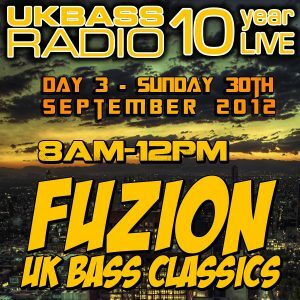 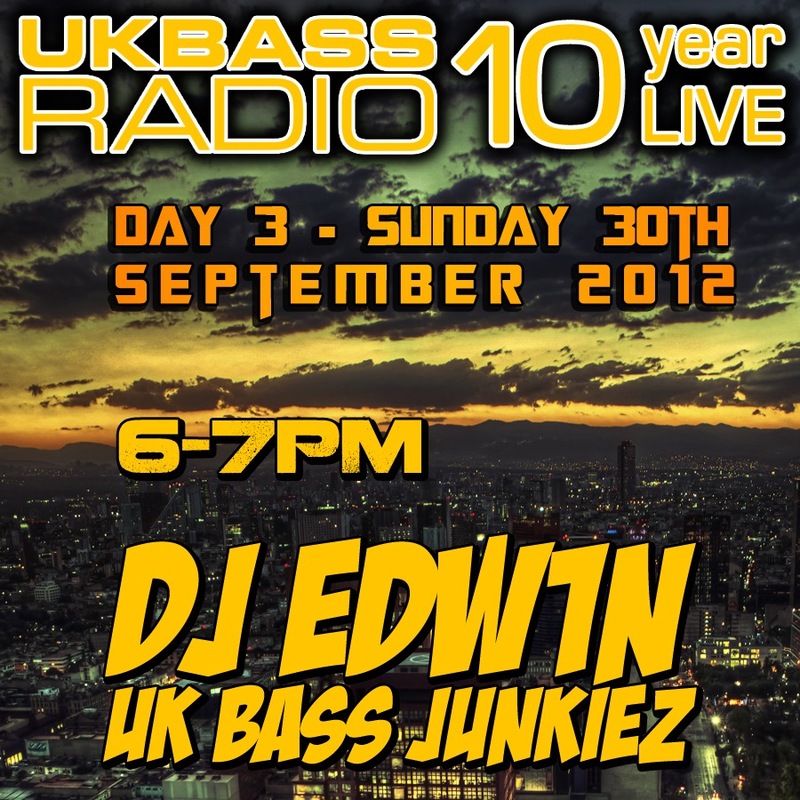 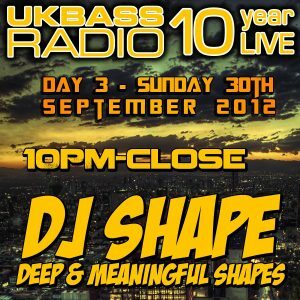 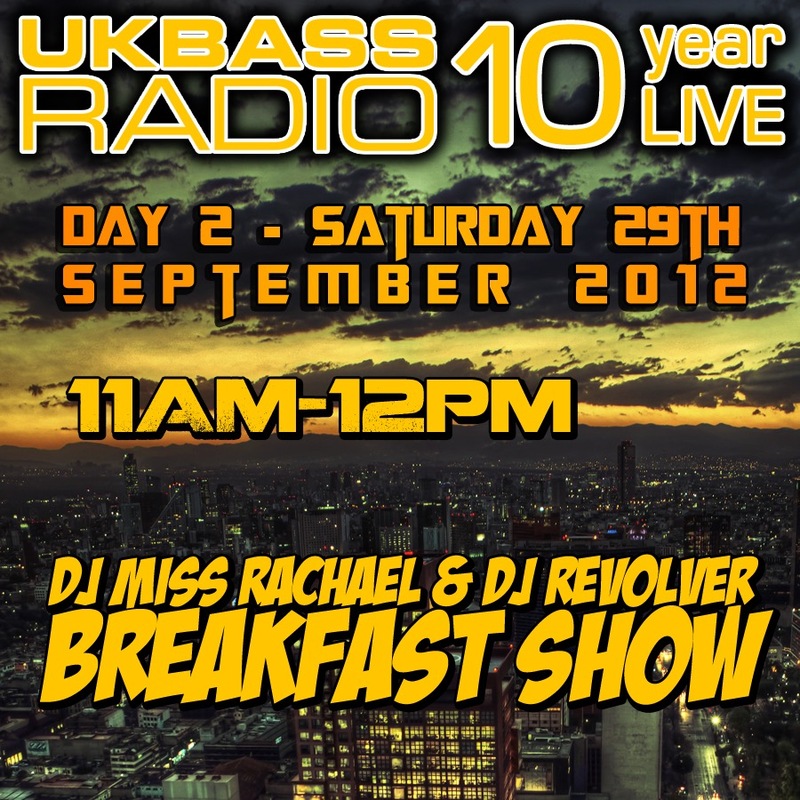 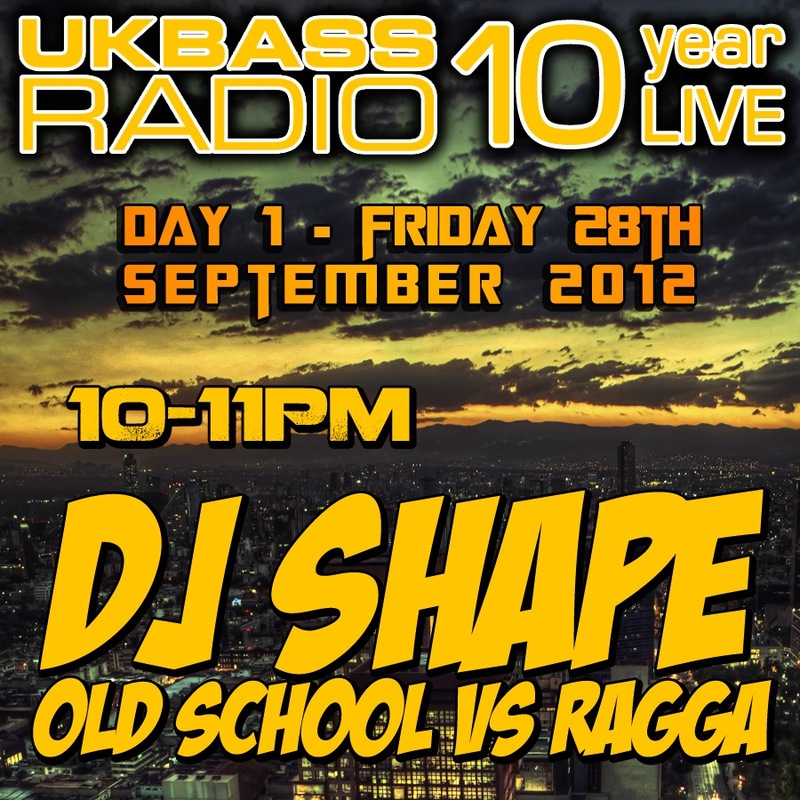 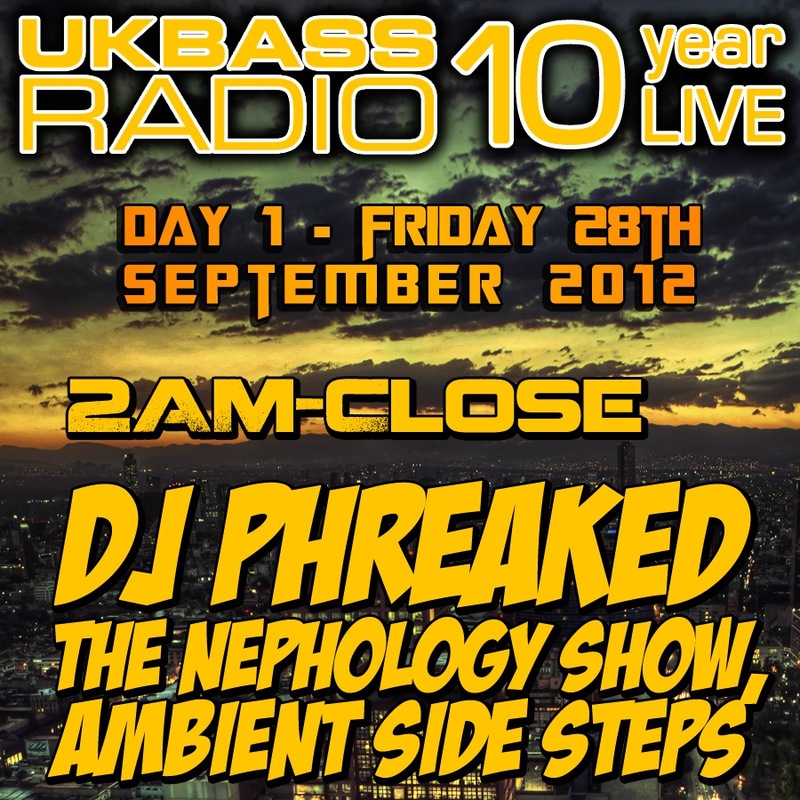 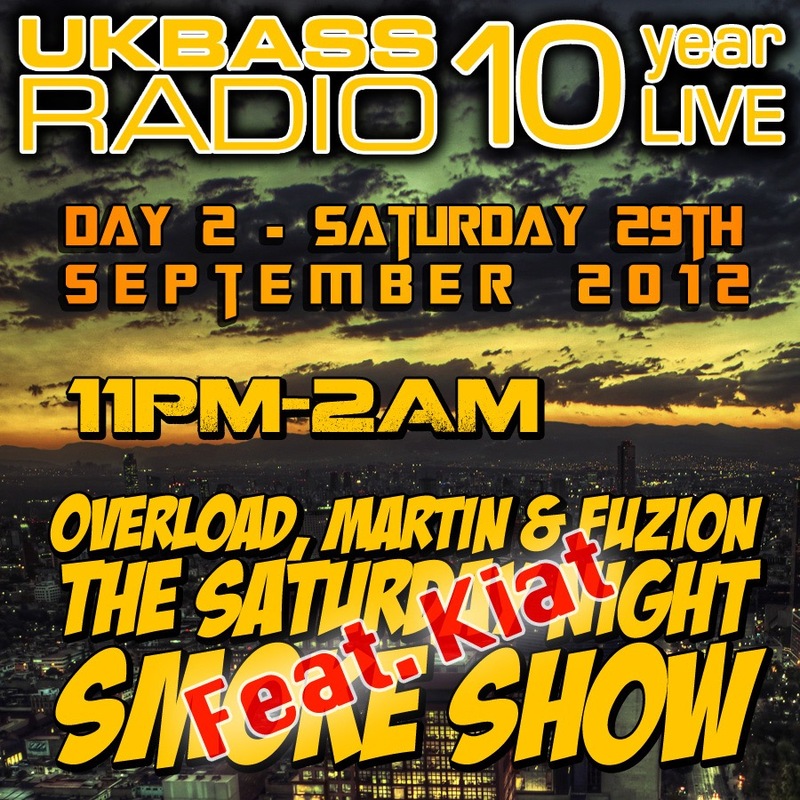 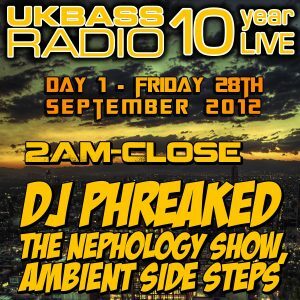 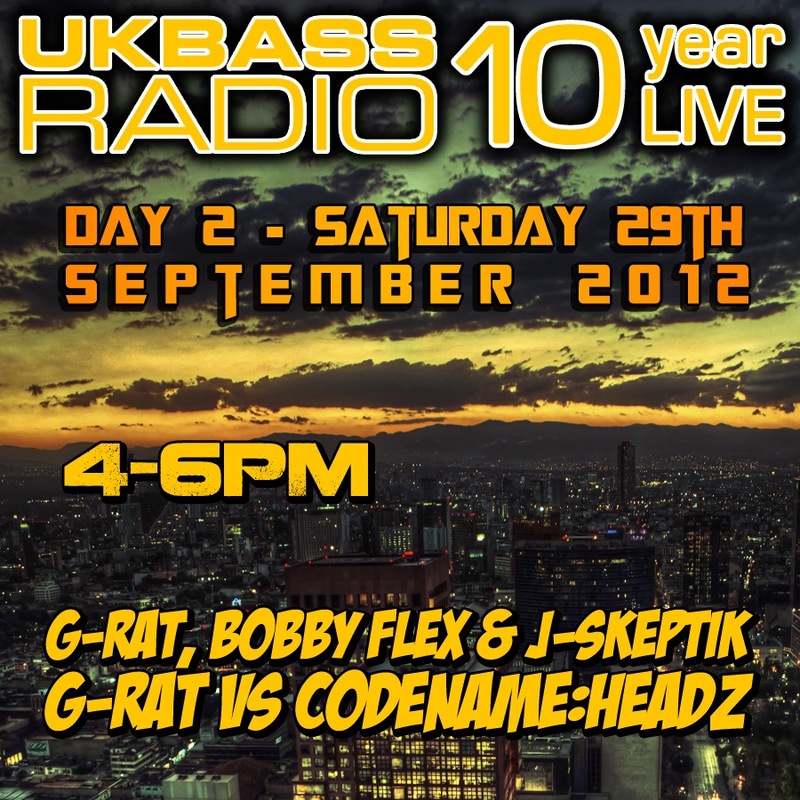 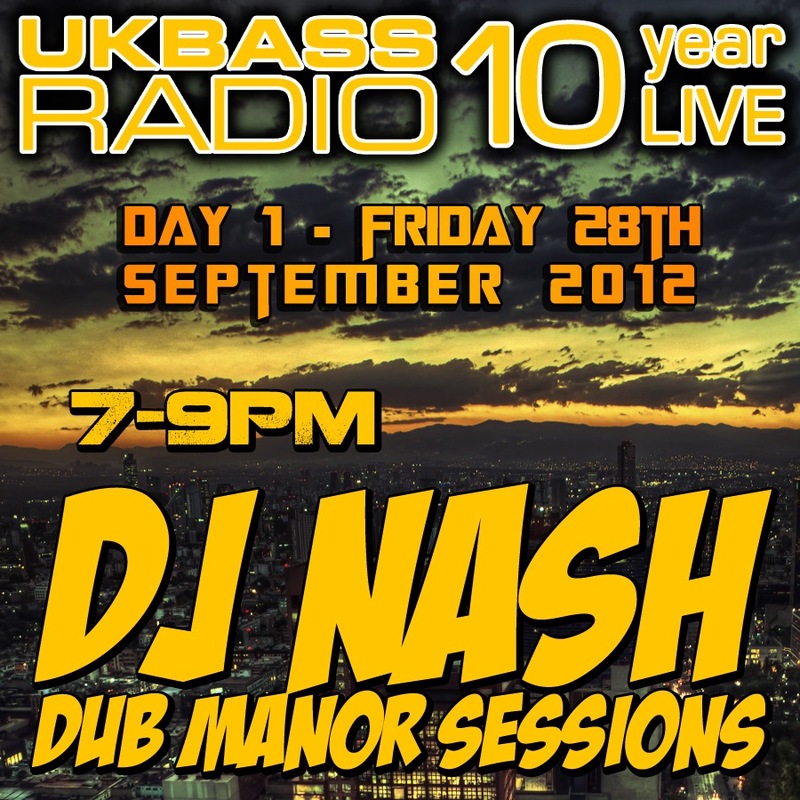 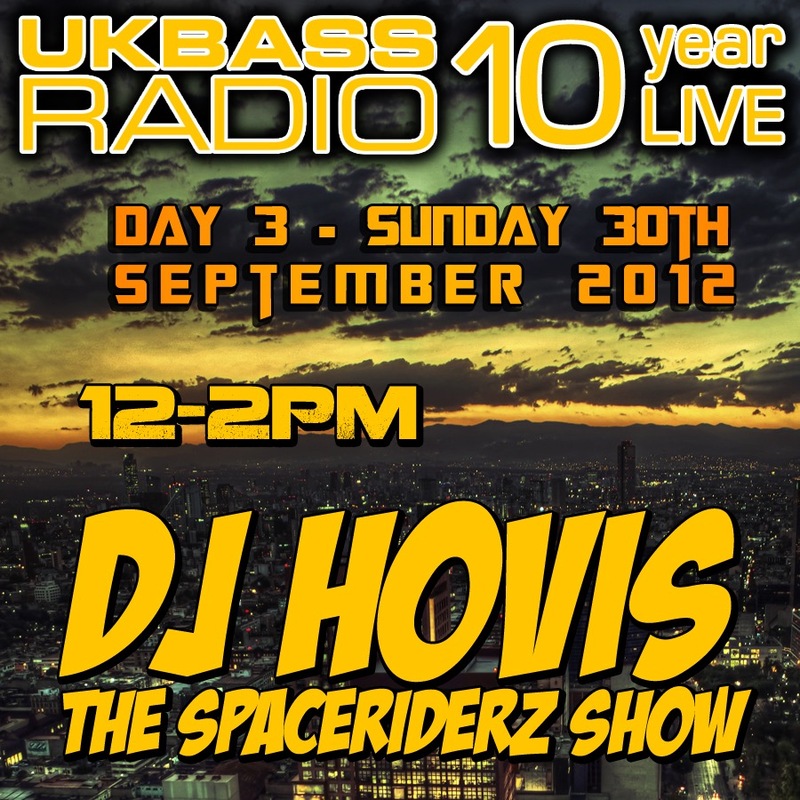 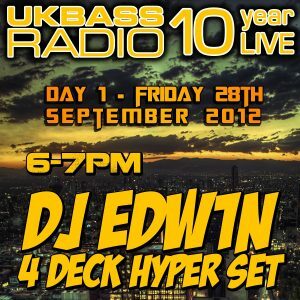 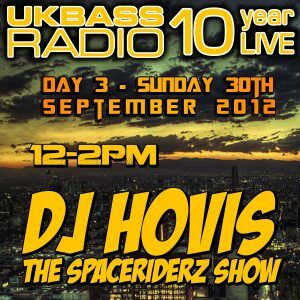 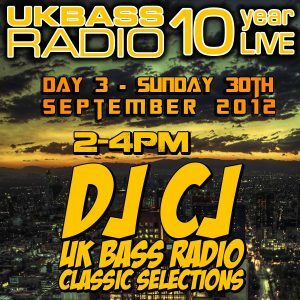 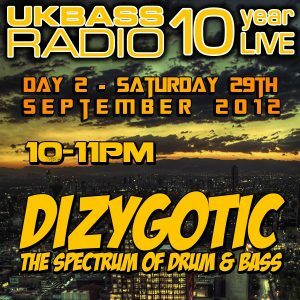 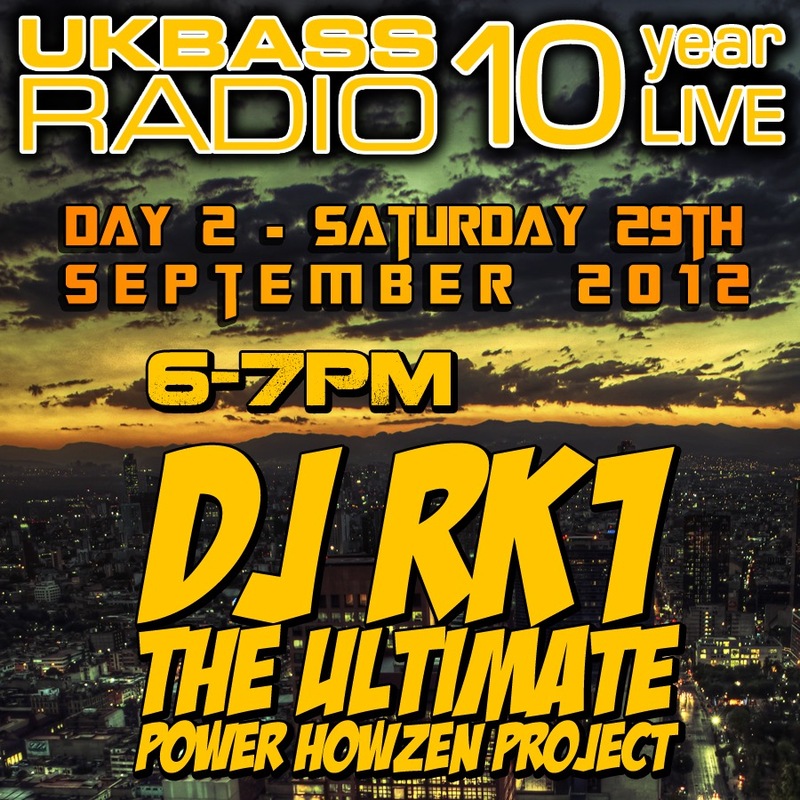 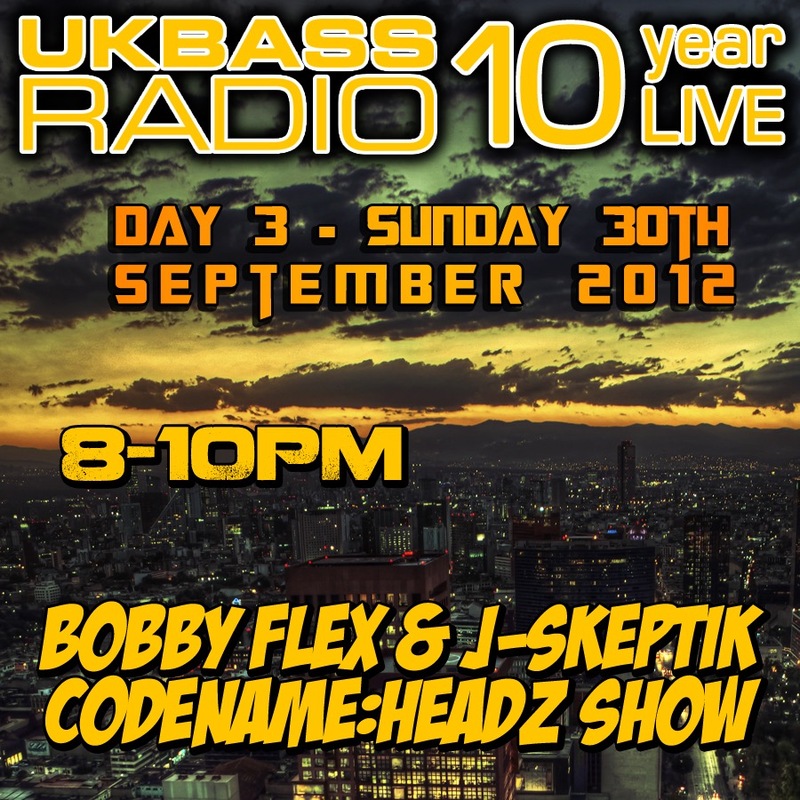 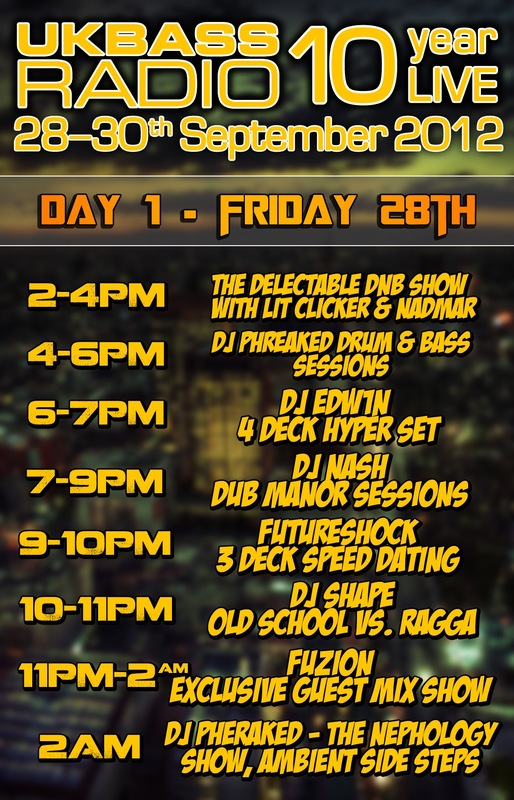 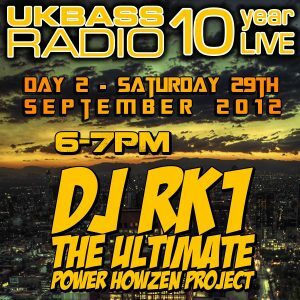 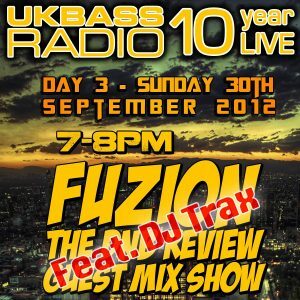 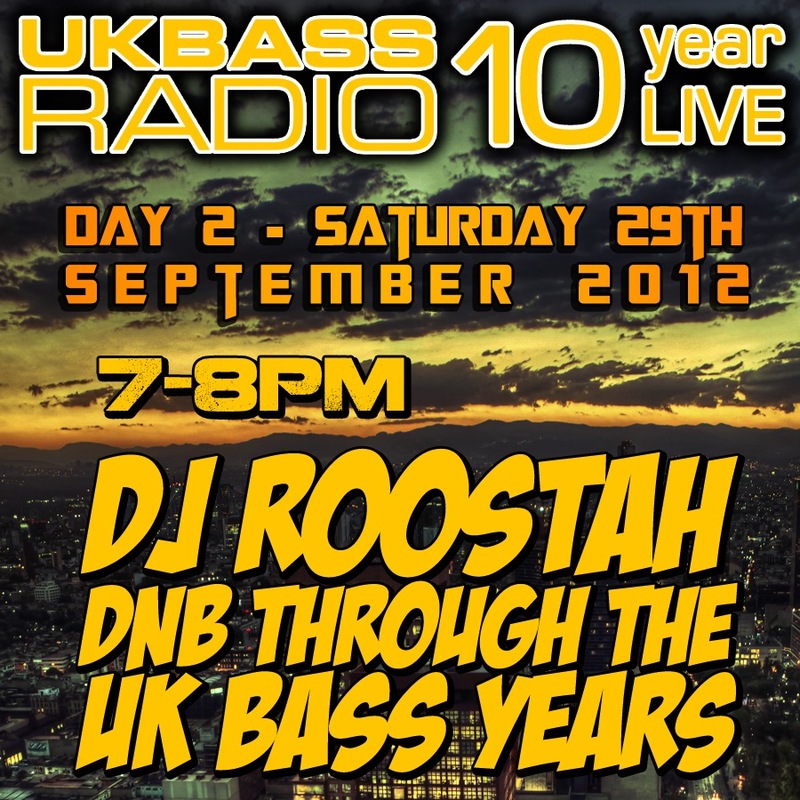 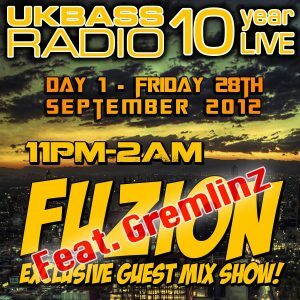 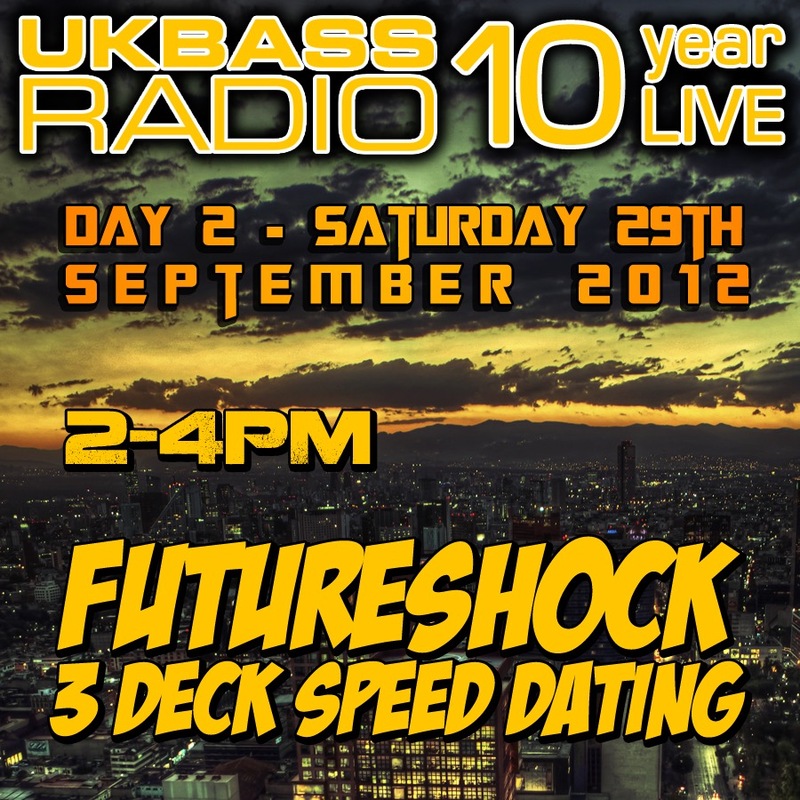 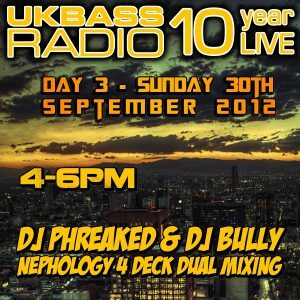 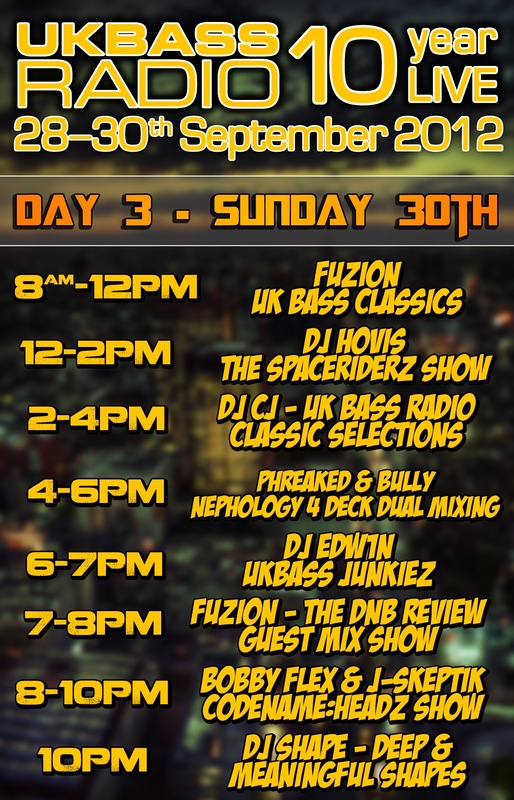 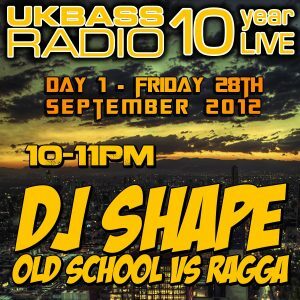 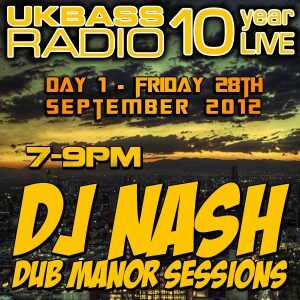 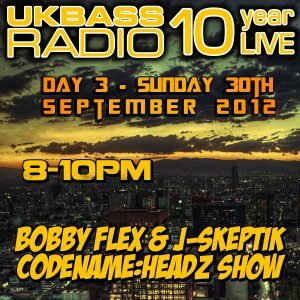 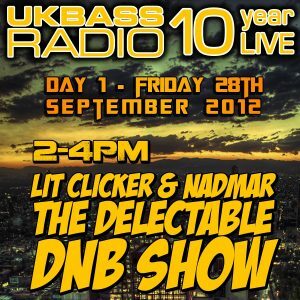 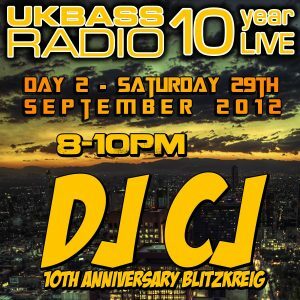 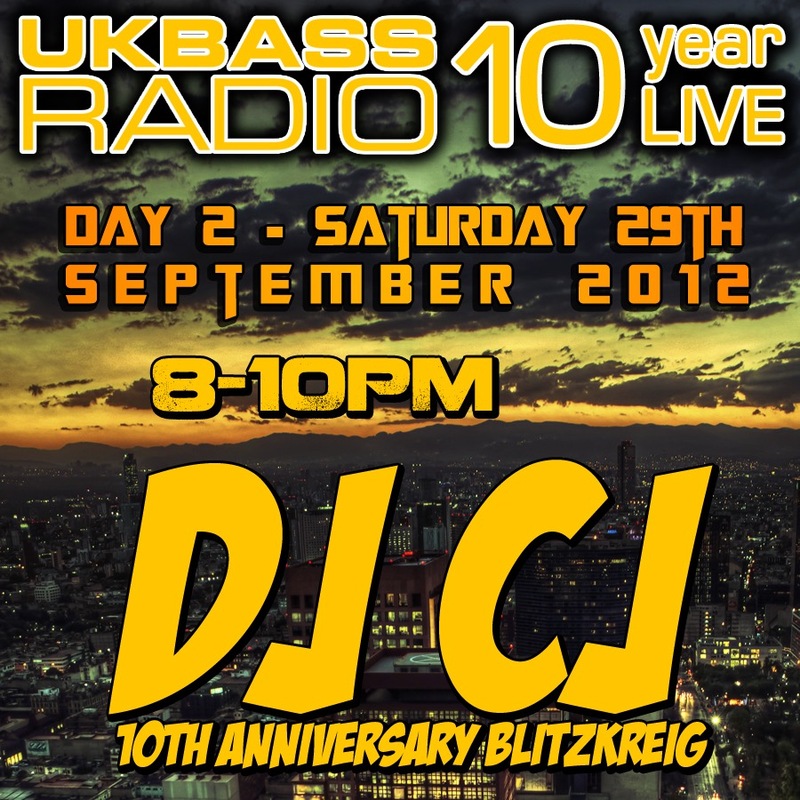 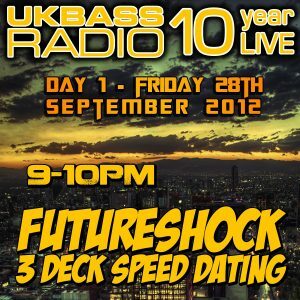 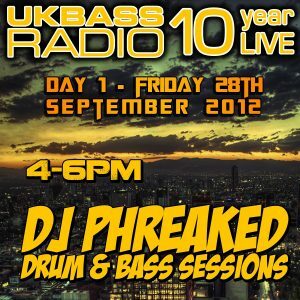 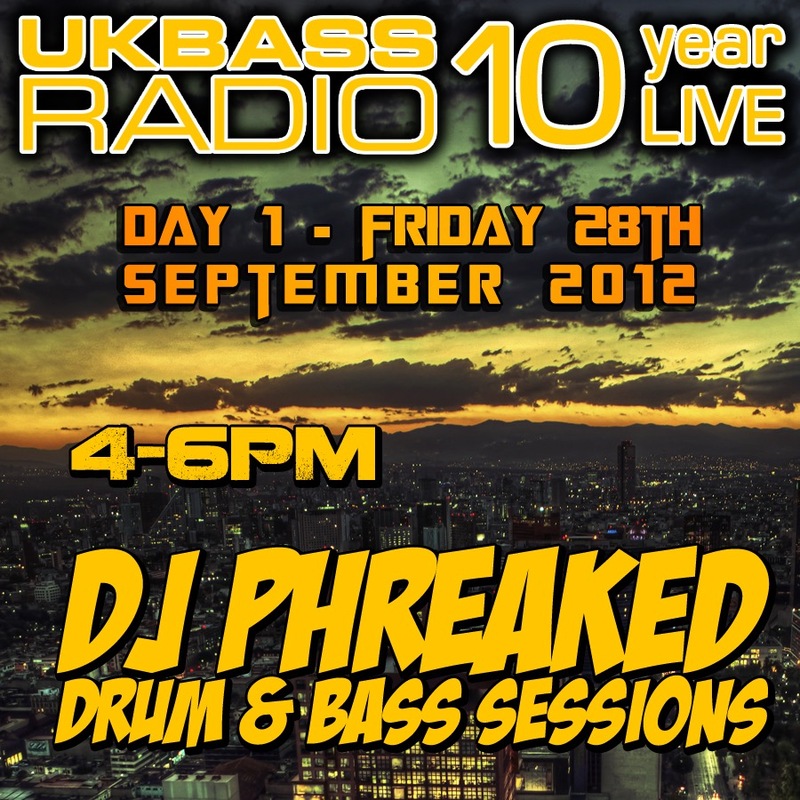 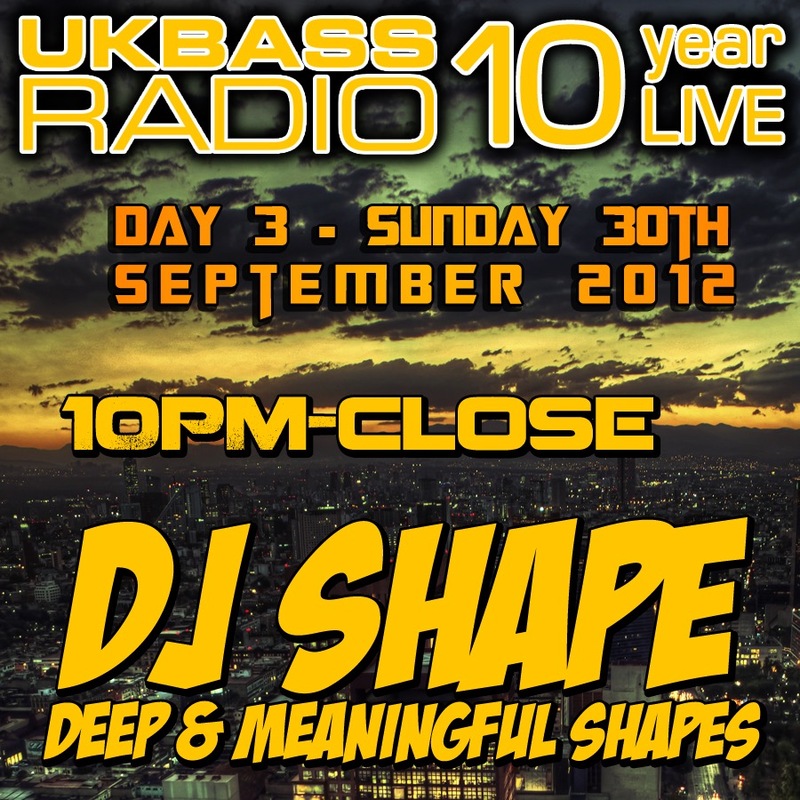 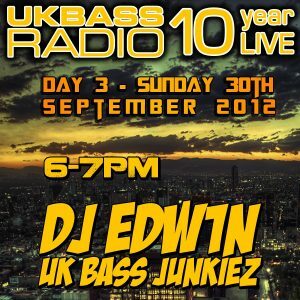 Happy anniversary UK BASS RADIO!